Question 1. How does MSSA, help grow eSports? The short answer is that the MSSA helps to grow eSports in SA through having gained acceptance as a sport by all the relevant governmental and non-governmental authorities. Through such recognition eSports qualifies for funding from national, provincial and local government as well as from the national lottery. The accreditation, although visible in the form of Protea Colours has had other far reaching effects as well. As a result of the accreditation, the MSSA is able to run official school championships and have official clubs established in schools. Not only that, but the MSSA has assisted the development of official eSports clubs at university which has resulted in a number of gamers be awarded with sports bursaries at such universities. The accreditation has also lead to a greater public awareness as well as greater media coverage. Through being a legal entity, the rules used govern eSports in South Africa have also created stability for the titles and for the gamers alike. Question 2. Exactly how do you let teams qualify or proceed to become a representative of South Africa? Selection of national teams is a year long process in South Africa. Players from any team that is affiliated to a member club that finishes in the top 3, or top 20% (whichever is greater), at a Provincial or ational Championship automatically qualify for National Team Trials. Since the MSSA runs LANs in 6 out of the 9 provinces, many South Africans are afforded the opportunity of qualifying for Trials with little cost to themselves. Not only that, but the MSSA runs on-line championships which too count towards qualifying for National Team Trials. To further reach all the outlying areas in South Africa, the MSSA allows the winner from any Regional Championship to attend the National Team Trials. There are 56 Regions in South Africa which consist of some of the most remote areas. Thus there is no excuse for anyone to not participate as the MSSA has made it as easy as possible to play in an official championships. Selection of Provincial Teams is done very differently. The nine Provincial Directors are responsible for the selection of the Provincial Teams according to the rules established by the Provincial Boards of Control. Question 3. If a number of community members (e.g 80%) wishes that some changed be made to your organization, would you accept it? The MSSA is a properly constituted association. As such it is accountable primarily to its own members. The vague groups that claim to be the 'community' are often faceless and those speaking do not have the right or authority to speak on behalf of others as they have not been elected to do so. Also, how do you come to the figure of 80%? Is this 80% of every-one who has a computer, or is it 80% of everyone who has ever played a game on a cell-phones, computers, PS's and or XBOX's? How do you determine the percentage? Every committee member in the MSSA has been elected to be there and should any change be required, the membership is quite capable of doing so. In fact the MSSA is the most democratic institution in South Africa as all member clubs have voting rights at all General Meetings, and all member clubs have the right to propose Registered Players for positions on any MSSA committee. Therefore the MSSA will not tolerate outside interference whether it be by government, or non affiliated individuals. The MSSA believes that SA has a bright future in eSports. The MSSA has sent teams overseas every year since 2005 except for 2008. In 2008 the MSSA, instead of sending a team overseas, brought SK Gamings CS1.6 and DotA team to South Africa in order to further promote gaming. However, the MSSA encourages any/or all clubs to also participate in the privately owned and run events. Clubs that are affiliated to the MSSA can use National Lottery funding for this purpose. The MSSA also helps clubs to get across to these events, for example, in 2013 the MSSA obtained deferred exams from the University of Cape Town for two eN team members so that they could attend the ESWC. The MSSA believes that unless South African teams play in more overseas events, the standard in South Africa will not improve. Unfortunately overseas travel is an expensive endeavour, but the MSSA is committed to getting more players overseas to official IeSF events in line with further developing the game at home. The MSSA works on a system of registration and entry fees which does not bring in much money due to how little is charged. The rest of the funds that the MSSA receives comes from sponsorships (such as MWEB), donations and grants. Question 6. What is your employees or volunteers experience with competitive eSports? The MSSA does not have employees. All the officials are volunteers who dedicate their free time to the development and growth of eSports. Thus all those involved in the eSports Board of Control have a great deal of experience in eSports. Remember all officials are voted in - members would not vote in a person who is not knowledgeable in their field. While a person holds a position, there is also an upward learning curve as the officials have to deal with a greater degree of administration as well as the playing of the various titles. Bearing in mind that the MSSA has agreed to enter the national MWEB Protea Team into the World Championships for CS:GO which shall be hosted by E-Frag.net, together with hitbox, the MSSA shall need to submit all ten players teams within a short period of time. Thus, the eSports Board of Control has decided to add CounterStrike: GO to the MWEB On-line Championships that will be played on 18 April 2015. This will thus allow ALL other registered players from no matter where they are in the country a chance for qualifying for National Team Trials. The National Team Trials, though, will be done as usual as a LAN event in the Province from where most of the teams will have qualified. The venue, and date, will be determined after play at the Gauteng Championships. However, in keeping with the MSSA's rules, all the championships for a full calendar year, that is from 19 April 2014 to 18 April 2015 count towards the 2015 Team Trials. Thus players who were in teams that finished in the top three, or the top twenty percent (20%) at any of the 2014 Provincial and/or National Championships are able to compete in the 2015 National Team Trials. Thus the Trials should prove to be an interesting mix of senior, student and school teams as they all battle it out for a place in the National Protea Team. Ryan Boyes (Chairman of the eSports Board of Control and Manager of the Protea eSports Team) is confident that the on-line championship will give every interested competitive gamer the time that they need to ready themselves for qualification for Trials. It should be noted that any team that is affiliated to a member club may participate in the MWEB CS: GO On-line Provincial Championships, whether they be a school team or even the most of competitive teams. Without doubt South African gamers are having better than ever before. This is largely due to the incredible partnership that exists between MWEB and the MSSA. The MWEB sponsorship of the MSSA has freed up the MSSA to concentrate on delivery both in South Africa and on an international stage and to take advantage of the many opportunities that are being offered. 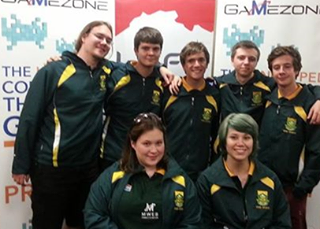 Under the MWEB sponsorship, the national Protea eSports team that has attended the IeSF World Championships has increased in size from only being four members in 2012 to being 10 members in 2014. The team is expected to grow to fourteen members in 2015. Of course a lot of this has to do with the continued, and steadfast growth, of international gaming competitions which concentrate on national teams. It is now well known that the Asian Olympic Committee has included eSports into its line-up, and it is a lessor known fact that TAFISA has included eSports into the Sport for All Games to be held in Jakarta in 2016. This greater activity of national teams battling it out for national and international honours and prestige has meant that there are more and more championships that cater for official representative teams. Practically all major competitive titles are benefiting from this surge in interest. The CounterStrike: GO title is benefiting more than most. The MSSA has already committed itself to participate in CSGO in the 7th IeSF World Championships to be held in Lodz. However, the MSSA is also committed to participating in the World Championships for CS:GO being hosted by E-Frag.net, together with hitbox. U$100,000+ will be given out to the finest players of the world, each of them representing not themselves, but principally their mother country. Amongst other things, crowdfunding will be available and every contribution will be rewarded with official merchandise. Apart from all the matches being broadcasted by E-FragTV live fwith guests from the CS:GO scene and community, broadcasts in foreign languages will be available as well on hitbox. There will be qualification rounds for each continent – Europe, Asia, North America, South America, Africa, Oceania which will be held throughout the year . The sixteen very best nations will then be invited to attend The 2015 World Championship. As is tradition, the players and managers of the 16 LAN qualified countries will be competing in Belgrade, this year in Sava Centar, during the 8th – 11th October, 2015. To eliminate further issues, all of the qualified nations‘ travel and accommodation costs will be covered by our fund. With the announcement, we are also calling out to people who are experienced in the field of eSports. We believe that every team shall have a proper manager and supervisor, who will, in cooperation with us, ensure the welfare of the team during the whole tournament. The MSSA sees this championship as a vital step to further developing South Africa as a competitive eSports nation. Of course, gamers need to follow the the usual path to selection, that is, the gamer must be a Registered Player and needs to qualify for Trials through an official MSSA championship. But is the distinguished Mr Sepp Blatter right? If we compare it to what has been going on in South Africa in the eSports scene, we will see that he is mostly correct in his statement. It all started back in 2005 when a member club hosted the MSSA's national championship in Olympic House. Unfortunately, it could have been done better by the member club. However, it was thus responsible for the MSSA to take direct control over its premier event, but it also created some unhappiness with some gamers. Some of these gamers have thus remained away from MSSA events. As one such gamer put it,”I have attended one of your events if you remember and as a 16 year old i c ould have organised better”. The really sad part is that for ten years this gamer has stayed away from MSSA events, preferring to listen to gossip, rumour and hearsay. The gamer too advocates resistance to what the MSSA does, but he himself does nothing to help cross the 'great divide'. And that is what a boycott does, it creates two camps that are opposed to each other. The one camp (those on the outside) are antagonistic by nature and attack the other at every given turn normally by only a few vitriolic gamers who claim to represent the 'community'. However, which community they represent remains a mystery as they are never elected, and they are not accountable to anyone. On the other side, you have the legally recognized organization that is firm and resolute. It holds annual general meetings, presents audited financial statements, goes about the business of promoting the sport and is accountable to its members, the bodies to which it affiliates and sometimes, even to government. So while the boycott creates a divide that few are willing to cross – as that would mean that someone would have to eat 'humble pie' – it splits those who should all be sharing a common interest and common goals. The body being boycotted often does not even notice that there is a boycott as those competitive gamers who wish to get ahead, remain firmly ensconced in the activities of the boycotted body. Those on the outside are normally just recreationalists, so no-one misses them anyway! In fact the body being boycotted often becomes even stronger. Instead of having people within the organization trying to tear it down, it is left with a strong supporter base who are all committed to the same objectives. As we can see from the above, Mr Sepp Blatter knows exactly what he is talking about. The 32nd MSSA Gauteng Board Gaming & Wargaming Championships shall be held at Pretoria University, Springbok Hall, Pretoria, on 28 & 29 March 2015. In keeping with Mind Sport South Africa's policies re development programmes, entries are free and gratis to registered players who are unable to afford to enter such championships should the member club formally request assistance. All entries, and army lists (if applicable) must be e-mailed to the Umpire: Colin Webster at mindsportssa@iafrica.com on or before 26 March 2015. The next event is the School Provincial Board Gaming & Wargaming Championships to be held on 11 & 12 April 2015. The MSSA has just released its rankings for the Ancients wargames as played to DBM 3.2. The current rankings hold no surprises, and it is therefore no surprise to see Colin Webster (the current world champion) ranked in first place. Jason Batzofin (the current junior World Champion) has also made it into the top ten along with Elishia Retief (the female world champion). 2015 should be a very interesting year. Oratile is the 2015 MWEB North West Champion! At the recent 19th MWEB North West Championships which were held on the 7th and 8th March 2015 at St Conrad's College in Klerksdorp, the recently formed club 'Crown the King' sent five of its best players to compete. Thus the five players 'trekked' from Mahikeng to do battle in EA's title FIFA '15. Faced by a larger field than ever before, the players from Mahikeng knew they had thweir work cut out for them when in the first round only two of their number (Mike Mahole and Refiloe Masitenyane) won their games with Oratile Tiro and Karabo Sindane drawining against their opponents. Arnold Maifala (from St Conrads) immediately stamped his authority on the championship from the first round. In the second round Refiloe continued his winning ways with Oratile putting in a fine effort to win his second game. However, Arnold continued his winning his ways, taking the lead in the championships. In the third round, Arnold put pay to Refiloe's ambitions, as one by one the players from Crown the King saw just how strong their opposition was. However, Oratile soldiered on and despatched his third round opponent with 4 goals to nil. Going into the fourth, and final, round it thus came down to Arnold vs Oratile to see who would take the crown and be named the MWEB 2015 North West Champion. The crowd hushed, the tension was palpable as Arnold and Oratile picked up the controls ad started the game. Tension increased as Arnold scored first and Oratile retaliated. Every goal scored brought cheers from the gamers who were watching. What a game! At the end, no less than eight goals had been scored, 5 by Oratile and 3 by Arnold. Oratile had demonstrated his mastery. Oratile is now the MWEB 2015 North West Champion. The Gauteng Championships shall be played on 28 & 29 March 2015. 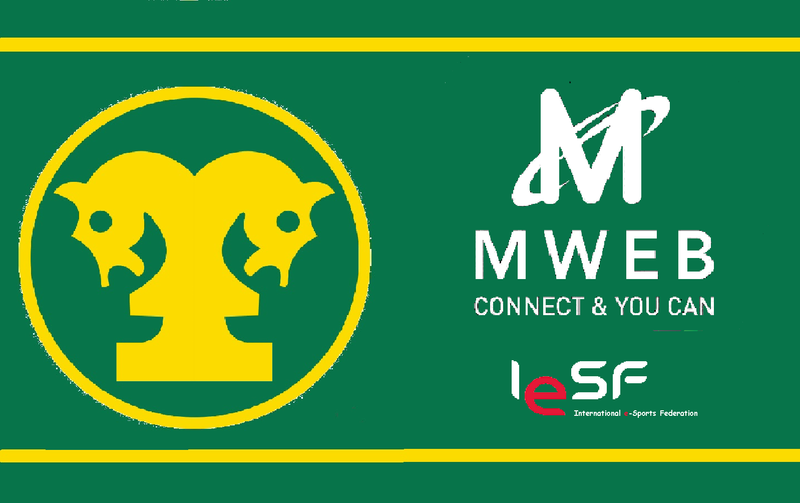 Registrations are thus open for MSSA's MWEB 2015 Gauteng LAN Championships. Registrations will close on the 26th March 2015. Players who wish to compete in any of MSSA's Championships are advised to complete their annual registration forms so that they may registered as Registered Players as soon as possible. Late entries will be accepted in exceptional circumstances. All gamers are reminded that the Gauteng championships is an open championship.In other words any registered player is entitled to enter the championship – no matter where they live, or their category of membership. If you have any queries, please contact the MSSA.